Our extremely talented art teacher, Erin Mapes is bringing another mural to BVHM! 8th grade art students have been working with local artist, Grant Gilliland to design a mural for the 23rd Street wall outside the music room. The theme of the mural is “music” and it symbolizes the way that music has touched our school and community here in the Mission. 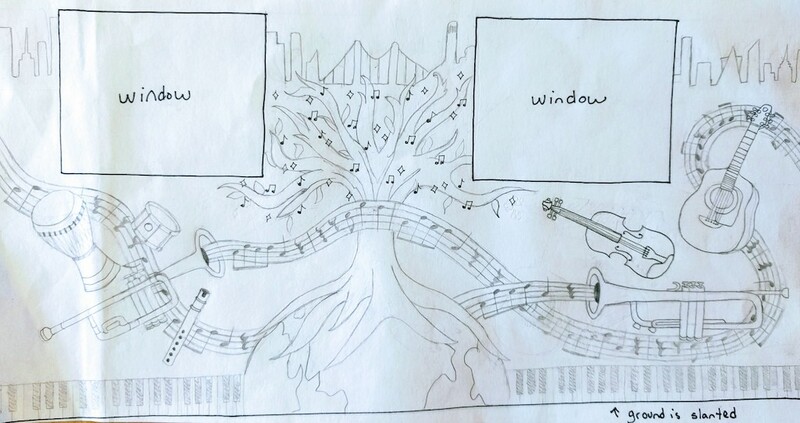 The design will include the SF skyline, musical notes, the world, a tree, and instrument silhouettes. We will start the mural in the spring of 2017 and it will be done by the end of school year.